This weekend another batch of eggs hatched and what a surprise I had when I peered into the incubator (for the millionth time!) and saw a white keet. 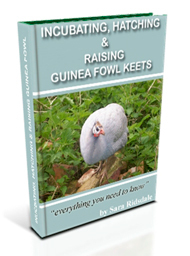 I’ve never expected to have a white keet as my guinea fowl are all lavender or pearl grey. 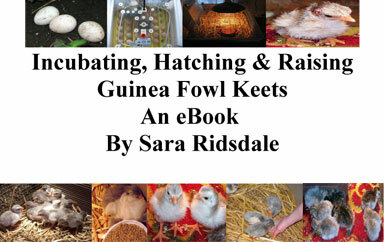 However when I sent the six eggs to The Cottage Smallholder, one of their five keets was completely white. Fiona has now named her white keet Lightning. I had never seen this happen to my eggs before so I was amazed when this weekend a white keet hatched out from my incubated eggs and here is the keet in question. I am now going to have to think of a name for this keet because whether it is male or female is immaterial, I am going to keep this keet regardless of gender. Any name suggestions for the white keet would be great and don’t forget to place your vote for naming my pigs. Thanks.